The UBC Thunderbirds Sailing Sport Club has the rare chance to compete in both the CISCA and ICSA conferences within Canada and the U.S. The practice season begins after tryouts September 16 with competition season beginning in late September and continuing until June. UBC has been top five at Canadian Dinghy Nationals and attended US Fleet Racing Nationals for five years running. The team is thrilled to have achieved this much and we aim to keep improving in our Canadian, American, and international competitions. 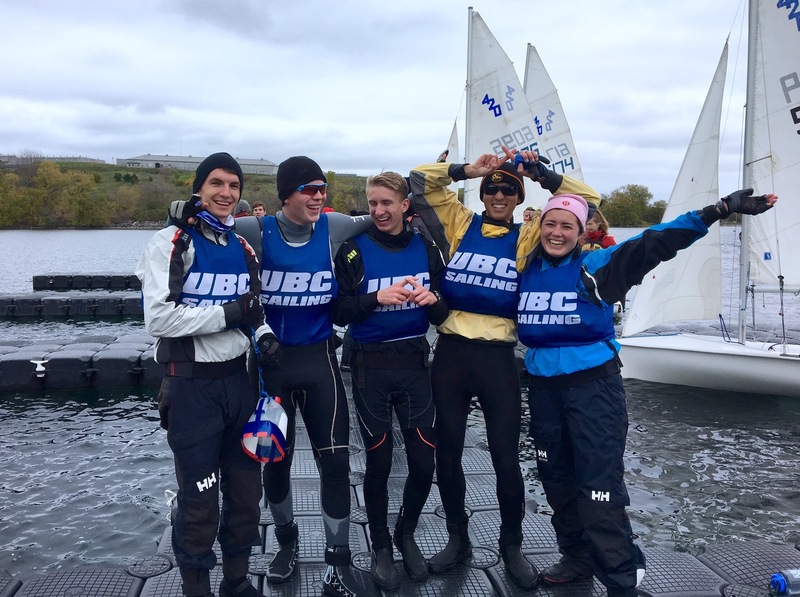 The UBC Thunderbirds Sailing Sport Club provides an opportunity for high-level dinghy racing at the university level. The team competes against many other universities such as University of Washington, University of Victoria, Yale University, University of Hawaii, and Tufts University. Skill levels range from casual sailors looking to gain competitive experience to seasoned racers. Our athletes come from various international backgrounds and encourage students on exchange to try out as well! We represent many faculties such as Arts, Science, Forestry, and Engineering. As an inclusive group we host various team socials to make sure all members are well adjusted and enjoying the opportunities the sailing team has to offer. Anyone wanting to race competitively, enhance their skills with elite coaching, and join a vibrant team is encouraged to tryout. See you in the fall! Sailors wanting to try out will require basic knowledge of sailing and racing. 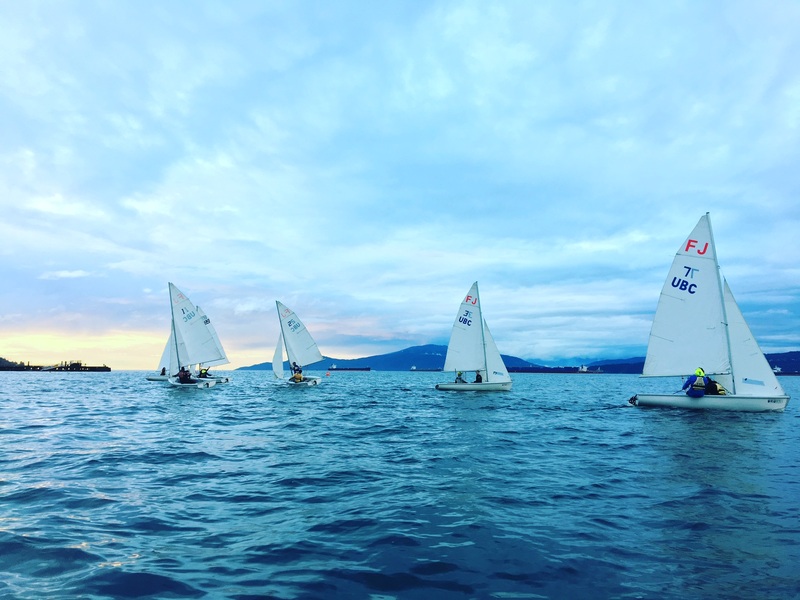 While the team has a diverse range of beginners and experienced sailors, it is a competitive and active team representing the University of British Columbia. We require a commitment of two practices a week, including one workout, and attendance to at least one regatta each semester. Team fees will be outlined at the beginning of the year with inclusions outlined below. A wetsuit and appropriate sailing gear will be required for winter practices. Our mandatory tryouts will take place 10am September 16th at Jericho Sailing Centre. There is an informational meeting being help 7pm September 13th in WAR 100 to inform prospective athletes about the team and give some more information about tryouts. Please follow us on the our Facebook page for updates and further details! Team fees are typically paid in two installments of approximately $200 CAD. This year’s team fees cover Jericho Sailing Centre Membership (at a discounted price), coach’s fees, transportation, and team gear. Team fees are currently under review and are subject to change. A full breakdown will be given at the informational meeting 7pm September 13th in WAR 100. Practices are held at Jericho Sailing Centre. Weekly practices are held on one of Tuesday/Thursday and Friday, with training camps held on select weekends. All weekday practices begin at 3pm. We share our competition schedule through Google Calendars, please visit that chart on our sailing home page! For full and detailed scoring of ICSA conference regattas please visit the official ICSA scores page. The current edition of the Sailing Team branched from the AMS Sailing Club to provide a more competitive aspect for the sport at UBC in 2011. From this transition, the team’s competitiveness grew throughout the years and by 2015 had successfully gained status as a Thunderbird Sports Club. As a Thunderbird Sports Club, we are now able to officially represent the university and grow within a system designed for student-led teams to flourish. Although we are unsure when the AMS Sailing Club first initially originated, it has a lengthy fluctuating history with stories since 1940. Please visit our Facebook page for our most current updates for sailors and fans.